Modern Beauty Girl: Makeup Inspiration! So my last upload was a hair inspiration post, so check that out here, but today I'm going to do a makeup inspiration post! I love doing these posts because I get very into routines and ruts and I love going on pintrest and getting reinspired! So let's get started! 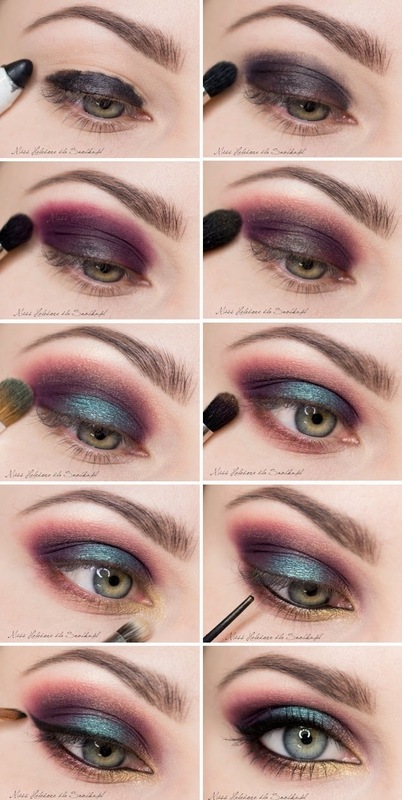 Saw this tutorial on pintrest and loved it! I think that the combo of the dark teal with berry is so chic! I think that this might seem like a winter or fall makeup look, but I think that the pop of color can help it transition into spring and summer! I personally wouldn't wear this out to school or work, but for a party or a night on the town, this would be so gorgeous! Another one that I love! I really love apricot and copper shadows and I think that the shadow alone in this look is gorgeous! But what makes it better is that pop of glitter liner! I love glitter liner and I want to do more tutorials using my glitter liners! 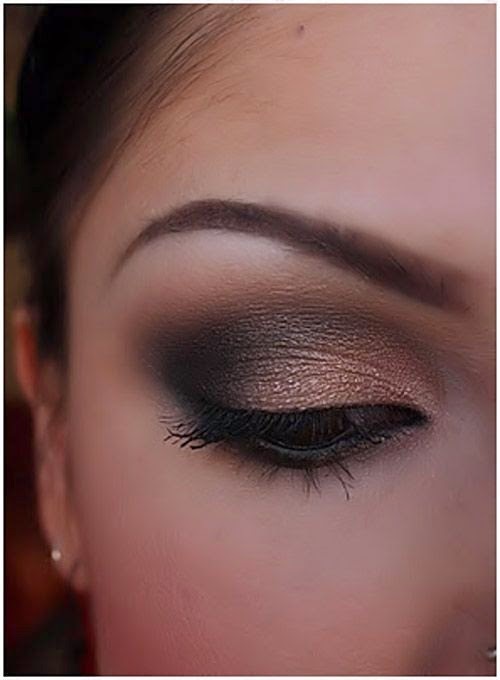 I love smokey eyes and this one is just so gorgeous! I think that the gold/champagne in the inner corners make it look gorgeous and I love how there is a warm brown halo around the crease too! This is just such a gorgeous look for a date night or party! So that was my makeup inspiration! I hope that it inspires you to switch up your makeup routine because I really want to incorporate more color and glitter like some of these looks! Don't forget to like my facebook page for more updates! the double coloured eyeliner is one of my favourite looks !! me too! 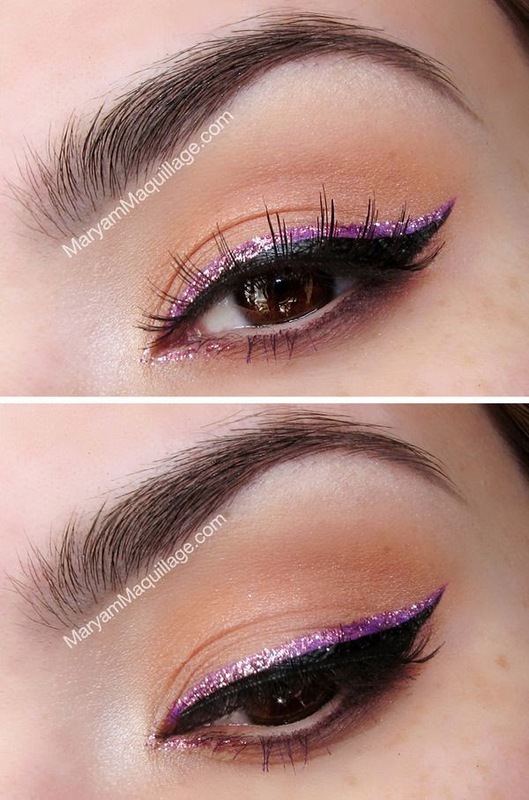 I'm too scared to try it, though, because I can barely do a even wing without the second color!